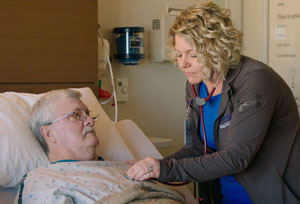 Brookings Health System is a non-profit, city-owned health system that offers the community a full range of inpatient, outpatient, surgery, home health, and extended care services. The nine member Brookings Health System Board of Trustees assumes overall responsibility for the facility. As defined by city ordinance, each Board member is appointed for a three-year term. For more information on Brookings Health System and the full list of services offered to the community, please visit www.brookingshealth.org.